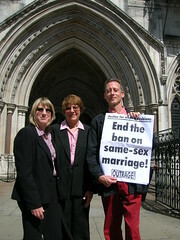 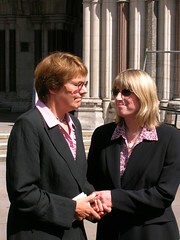 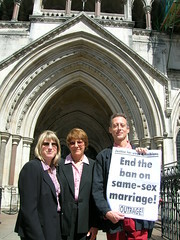 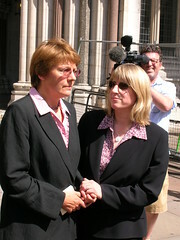 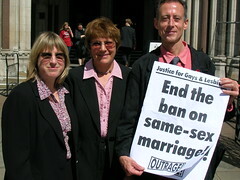 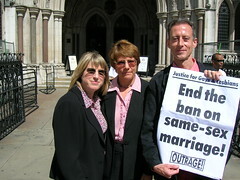 Sue Wilkinson and Celia Kitzinger had their legal application dismissed by the High Court. 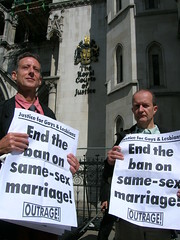 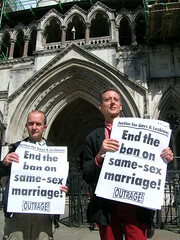 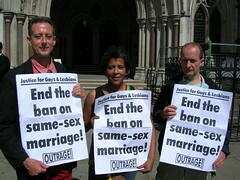 They had applied to have their Canadian marriage recognised in the UK. 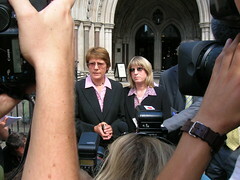 London, 31 July 2006.